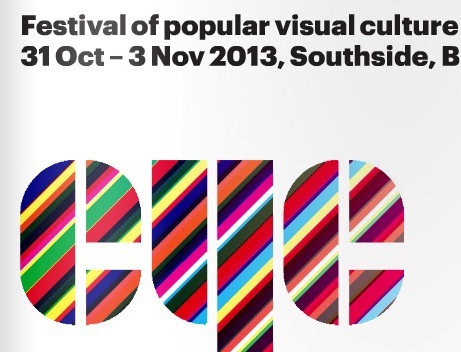 Eye Candy Festival made its debut last year at Southside, and this year it makes a triumphant return with a colourful celebration of art, animation, films, workshops and miscellaneous creative tidbits. The organisers describe it as a visual pop culture festival, which sums it up pretty well, but I'll go one further and expand on what sounds like a fun event in B-town. I've broke down the events into sub-sections because there are a host of happenings which fall into similar categories, but instead of being pedantic, I've grouped events like film talks, animation, and cinema together. The beautifully restored 1960's cinema has come to Eye Candy to showcase free films, animation and documentaries mostly about culture and art. Mobile Vintage Cinema is part of the city's history, and a Birmingham first. The mobile cinema seats 22 people, and has climate-control, as well as positioned seating so those at the back get a view as good as those at the front. All drawing action will be taking place at Le Truc French restaurant in The Arcadian, and consist of a 'French Icons' live drawing event. Bike action takes place at The Arcadian for Bicycle Bazaar, which is takes bike enthusiasm to a different level. 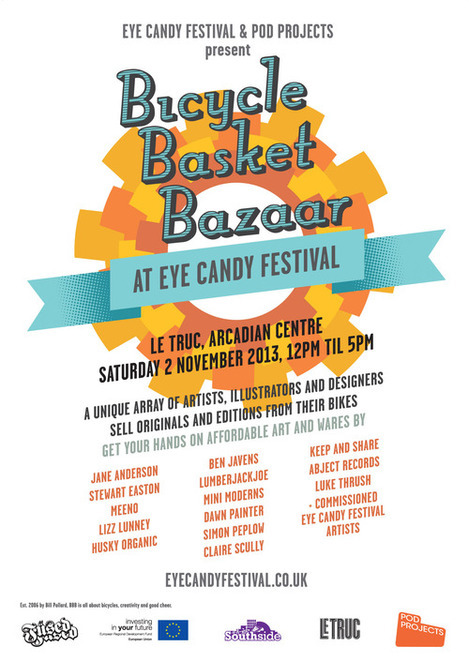 Artists, illustrators, and designers will be transforming their bikes into mini-shopping spots. Think of a car boot sale, but from a bike. It's innovative, fun, and will be a chance to see how the creatives barter and flog their gear. See their website for specifics, and details on more of each event, but I recommend having a little faith, and hopping along to any of the venues and enjoying the show before your eyes. All events are free, so all you have to do is turn up.